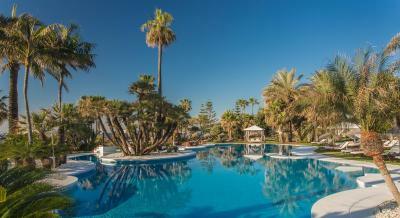 Lock in a great price for Kempinski Hotel Bahía Beach Resort & Spa – rated 8.9 by recent guests! Everything else. Staff super kind. Great variety and splendid breakfast. This an amazing place to relax and enjoy the weather! The staff is freindly and the places to eat were good. I do not recommend eating at the Spiller restaurant on site, it was less than stellar. I had a burger that was not cooked all the way through. Other than that small detail everything else was amazing. The breakfasts could not have been better and all of the people working at the hotel were excellent. The room and grounds were also very beautiful and there are three excellent restaurants on the property. Also very close to the town of Estepona which is a very nice seaside village with plenty of good restaurants and shopping. The property overall was nice and my family enjoyed the pool the service and everything in the hotel, and I really appreciate the effort that this hotel does in terms of service as all the staff are friendly and look to provide a good service to victors of this hotel, the location of the hotel is also good if you are visiting Estepona center. First class breakfast. A little noisy at the moment but all works should be finished by Easter. The breakfast was fantastic. The gym was well equipped. Everything was just perfect for the weekend away. Left feeling totally relaxed. Staff were efficient and friendly. Good food in restaurants. Location was great with good views and easy access to other interesting places and the boardwalk by the sea. 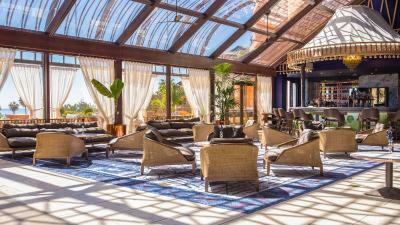 Kempinski Hotel Bahía Beach Resort & Spa This rating is a reflection of how the property compares to the industry standard when it comes to price, facilities and services available. It's based on a self-evaluation by the property. Use this rating to help choose your stay! One of our top picks in Estepona.Kempinski Hotel Bahía Beach Resort & Spa is a luxurious beachfront hotel overlooking the Mediterranean, just 15 minutes’ drive from Puerto Banus. It features 3 outdoor swimming pools, gardens and a spa. 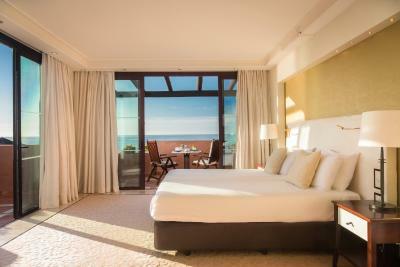 Rooms at the Kempinski Marbella are luxurious and feature a balcony or terrace. Each room has a flat-screen TV with satellite channels, and a marble bathroom with hairdryer. 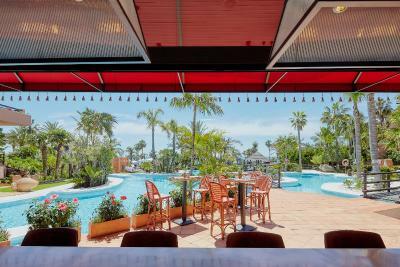 The resort is a 5-minute drive from the center of Estepona and 5-minutes walk from Laguna Village shopping center, offering several restaurants, beachclubs and clothing boutiques. Marbella can be reached in 20 minutes by car. Malaga Airport is 45 mi away. 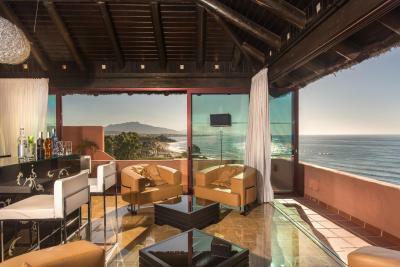 When would you like to stay at Kempinski Hotel Bahía Beach Resort & Spa? Featuring classic décor, this room has a king-size bed or 2 single beds, a balcony and seating area with sofa bed, kettle with tea making facilities and satellite TV. The marble bathroom includes a shower and bathtub. Featuring classic décor, this suite has a king-size bed or 2 single beds, dressing room, coffee machine, tea making facilities, seating area and sofa-bed. The marble bathroom includes a bathtub and a shower. 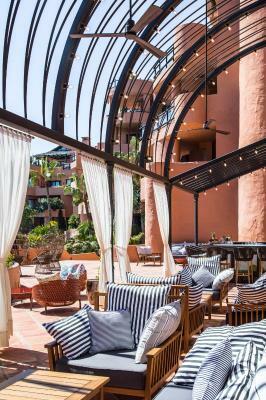 The terrace features sunbeds and panoramic sea views. 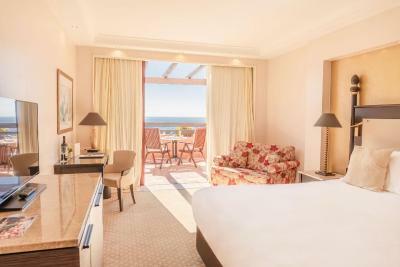 This room features views of the sea, the swimming pool and the gardens and has a king-size bed or 2 single beds, a balcony and seating area with sofa bed. Has 1 king-size bed or 2 twin beds and separate seating area with a sofa-bed. 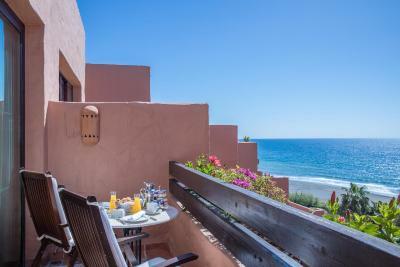 The private balcony offer partial views of the Mediterranean, the swimming pool and the gardens. This elegant room comes with a private balcony with garden or pool views. It features a seating area with a work desk, kettle with tea making facilities, sofa bed and LCD TV with international channels. There is free Wi-Fi, a mini-bar and a safe. The marble bathroom includes a shower and bathtub. 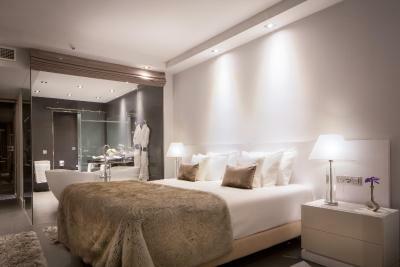 This suite has an bedroom with extra-large bed or 2 single beds and dressing room. The living room includes dining area, coffee machine and tea making facilities. The terrace features sunbeds and front sea view. There is a marble bathroom with a shower and a bathtub and a guest toilet. This large suite has a modern and contemporary design that features smooth white and gray colors. 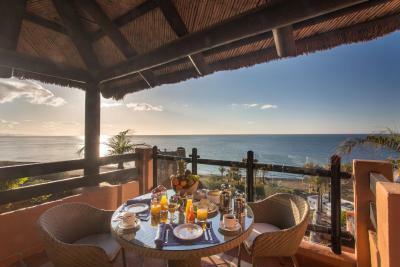 The suite includes a large terrace with an outdoor dining table and sun loungers, including views of the Marbella Bay and the African Coast. The suite features an open glass window bathroom connected to the main bedroom, as well as a spacious living room with coffee machine and tea making facilities and dining room. This suite includes free parking, complimentary soft drinks and a bottle of champagne upon arrival. Featuring modern wooden décor, this suites includes a bedroom with king size bed, a dressing room, separate living room and a terrace with sunbeds and dining area for 12 guests, plus a private hot tub. 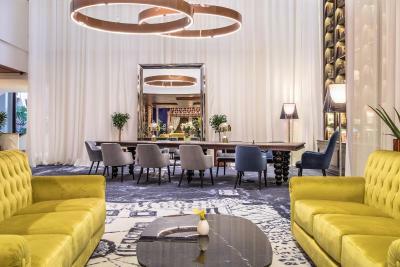 Set on the top floor accessible by keycard only, the presidential suite offers king-size bed, a dressing room, working area, terrace, living room with seating area and kitchenette with coffee maker and tea making facilities. 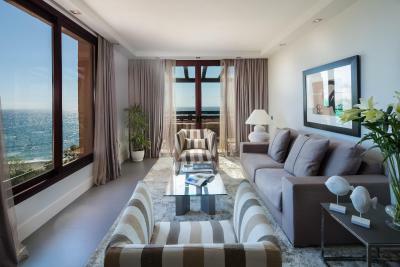 It features stunning sea views and connecting doors to separate the living space. This suite includes free parking, a balinese bed at the hotel beach, free daily mini-bar refill and a bottle of champagne upon arrival. Featuring modern décor, the royal suite comes with a king-size bed, a dressing room and a separate living room with a flat-screen TV, surround sound and a fireplace. The suite features "his and hers" closets. There is a kitchenette with coffee machine and tea making facilities and a 856 ft² private terrace with a dining area and stunning sea views. 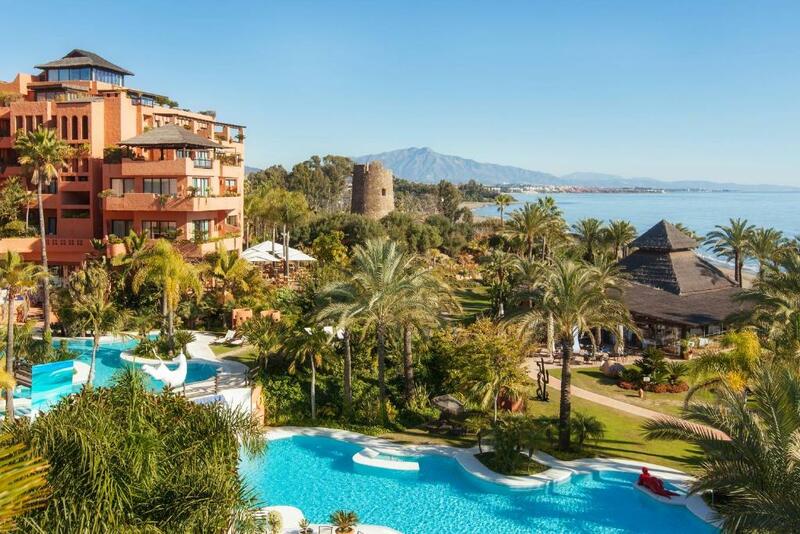 We believe our unique location makes our property special, there are not many hotels so close to Estepona and Marbella which are front line beach with such amazing gardens as well. The sunsets in this part of the world are amazing all year round and there is nothing more magically than seeing the coast line of Africa silhouetted against the sky as dusk falls. 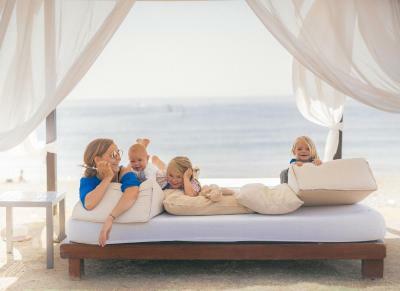 House Rules Kempinski Hotel Bahía Beach Resort & Spa takes special requests – add in the next step! Kempinski Hotel Bahía Beach Resort &amp; Spa accepts these cards and reserves the right to temporarily hold an amount prior to arrival. Kempinski Hotel Bahía Beach Resort & Spa accepts these cards and reserves the right to temporarily hold an amount prior to arrival. Food was expensive and poor vegetarian choice. Excellent Breakfast. Friendly helpful staff. Did not enjoy my stay here at all. They were constantly working on the pool house and swimming pool during our stay. During breakfast (and all day long) we were hearing loud noises of the workmen and their machines. The workmen were constantly walking trough the hotel with material. Only 2 out of the 4 restaurants were open (due to big renovations). We did not know of the renovations beforehand. It should be mentioned while booking or be compensated at the hotel. We payed for a 5 star hotel but it is really deception and fraud. Comfortable beds and very friendly staff. The beach was a bit rough with big sharp stones. Just one big fault with the hotel. Unable to escape the appaling music, remeniscent of a low grade supermarket !!!! Outside the bar there was a sunny terrace with comfortable furniture and a lovely view. One was unable to enjoy peaceful time there. There were times when we did not dine in your restaurants and went elsewhere to escape the din, as did other residents! Not good for your income ! !